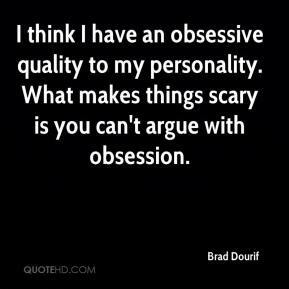 I think I have an obsessive quality to my personality. What makes things scary is you can't argue with obsession. There is nothing wrong with horror films. Their existence has definitely had an impact on me. It is important to have scary demons in our world on film. We have them in the world. 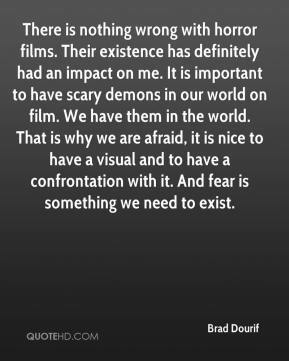 That is why we are afraid, it is nice to have a visual and to have a confrontation with it. And fear is something we need to exist.